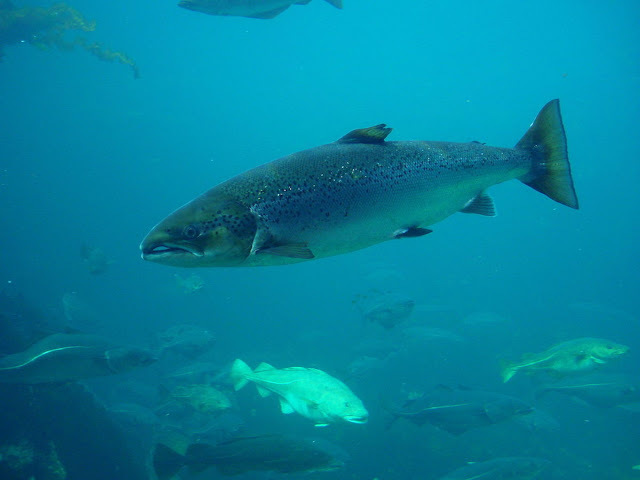 A salmon farm can hold upwards of 2 million salmon in a relatively small amount of space. These crowded conditions result in disease, which spreads rapidly among the stressed salmon. A number of dangerous pesticides are used in an effort to stave off disease-causing pests, one of which is known to have neurotoxic effects. Fish has always been considered a health food, but according to Oddekalv, today’s farmed salmon is one of the most toxic foods in the world! 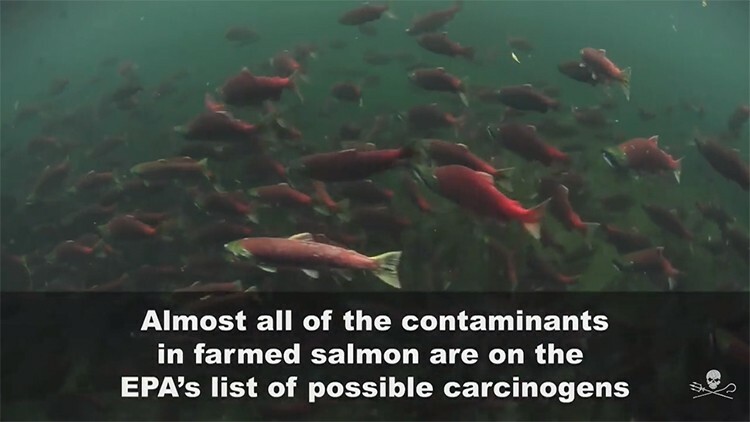 Overall, farmed salmon is five times more toxic than any other food product tested. In animal feeding studies, mice fed farmed salmon grew obese, with thick layers of fat around their internal organs. They also developed diabetes. Besides keeping pests like sea lice in check, the pesticides used also affect the fish’s DNA, causing genetic mutations. Disturbing examples of deformed cod are shown in the film. What’s even more disturbing is that, according to Oddekalv, about 50 percent of farmed cod are deformed in this fashion, and female cod that escape from farms are known to mate with wild cod, spreading the genetic mutations and deformities into the wild population. 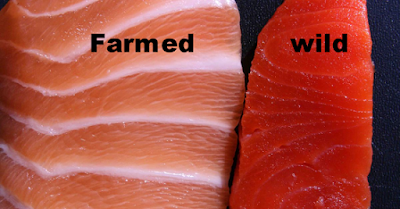 Farmed salmon suffer less visible but equally disturbing mutations. 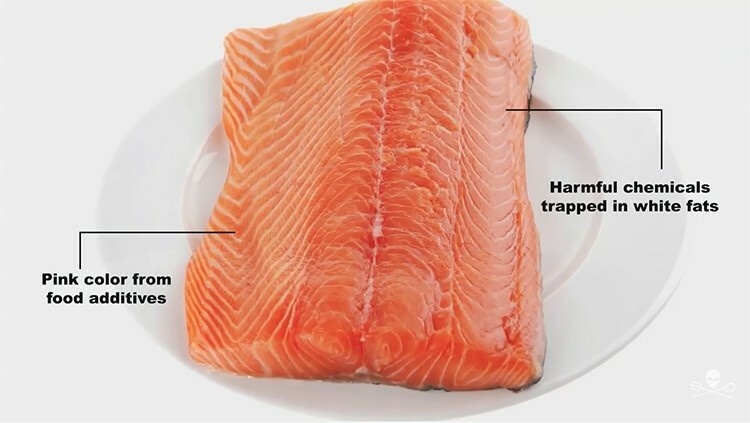 The flesh of the farmed salmon is “brittle,” and breaks apart when bent — a highly abnormal feature. The nutritional content is also wildly abnormal. Wild salmon contains about 5 to 7 percent fat, whereas the farmed variety can contain anywhere from 14.5 to 34 percent. 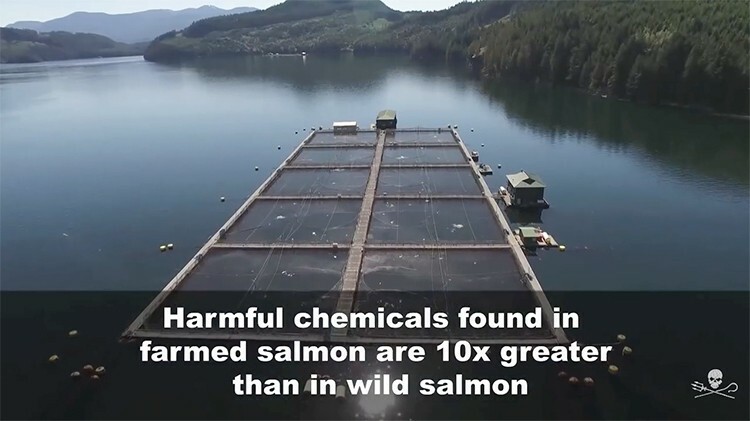 Many toxins accumulate most readily in fat, which means even when raised in similarly contaminated conditions, farmed salmon will contain far more toxins than wild. Shockingly, research reveals that the most significant source of toxic exposure is not actually the pesticides or the antibiotics, but the dry pellet feed! Pollutants found in the fish feed include dioxins, PCBs, and a number of different drugs and chemicals. In one Norwegian fish pellet plant, the main ingredient turns out to be eel, used for their high protein and fat content, and other fatty fish from the Baltic Sea. The Baltic is highly polluted. Some of the fish used have toxic levels of pollutants, which then simply get incorporated into the feed pellets. Many panga farms are plagued with disease, courtesy of the polluted waters in which they’re raised. Mekong River, where many panga farms are located, is one of the most heavily polluted rivers in the world. In 2009, the World Wide Fund for Nature placed panga on their “red” list of products that pose a danger to environmental and human health. Millions of Vietnamese households dump their waste directly into the Mekong River each day. Pesticides used in rice cultivation also migrate into this waterway. Green algae and bacteria release toxins into the water and reduce oxygen levels in the water, which adds further stress on the fish’s immune systems, making them more prone to disease. To address disease, farmers add industrial quantities of drugs into their fish ponds, including a wide array of antibiotics. The side effect is drug resistance, which forces the farmers to keep increasing the dosages. The panga are not the only thing affected by this strategy, of course. Antibiotics spread through the river systems, are absorbed into the fish’s tissues and excreted through feces, which redistributes the drugs into the environment — and to those who eat the fish. 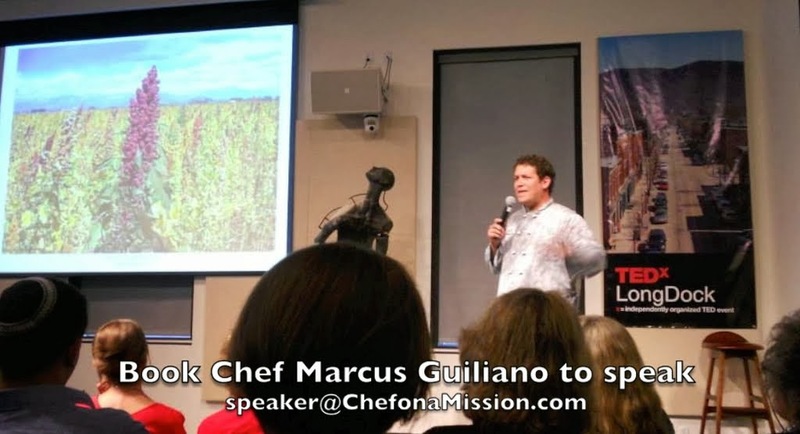 Are You Eating Fish, or Fish Waste? Fish can be one of the healthiest foods you can eat, but in the industrial age you have to be ultra careful about choosing the right type of fish. If you needed another reason to avoid processed foods, watch this film to the end, where it describes how fish waste has become a “highly valued commodity” used in processed foods. At less than 15 cents per kilo, these fish heads and tails, and what little meat is left over after filleting, is a real profit maker. Virtually nothing actually goes to waste anymore. Fish skins are recycled for use in the cosmetics industry. The remainder of the fish waste is washed and ground into a pulp, which is then used in prepared meals and pet food. Since food manufacturers are not required to tell you their products contain fish pulp rather than actual fish fillet meat, this product offers a high profit margin for food manufacturers. One tipoff: if the product’s list of ingredients includes a fish without specifying that it’s made with fillet of fish, it’s usually made with fish waste pulp. 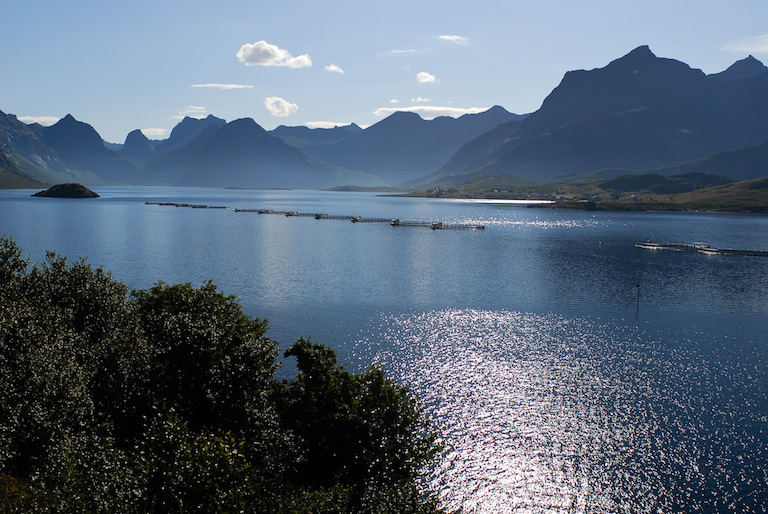 It’s become quite clear that fish farms are not a viable solution to overfishing. If anything, they’re making matters worse, destroying the marine ecosystem at a far more rapid clip to boot ... So what’s the answer? Unfortunately, the vast majority of fish — even when wild caught — is too contaminated to eat on a frequent basis. Most major waterways in the world are contaminated with mercury, heavy metals, and chemicals like dioxins, PCBs, and other agricultural chemicals that wind up in the environment. This is why, as a general rule, I no longer recommend getting your omega-3 requirements from fish. However, I do make two exceptions. One is authentic, wild-caught Alaskan sockeye salmon; the nutritional benefits of which I believe still outweigh any potential contamination. Alaskan salmon is not allowed to be farmed, and is therefore always wild-caught. My favorite brand is Vital Choice Wild Seafood and Organics, which offers a nice variety of high-quality salmon products that test high for omega-3 fats and low for contaminants. Canned salmon labeled "Alaskan salmon" is a less expensive alternative to salmon fillets. Other good choices include herring and fish roe (caviar), which is full of important phospholipids that nourish mitochondrial membranes.